Would you like to take control of your money and start tackling your debt. 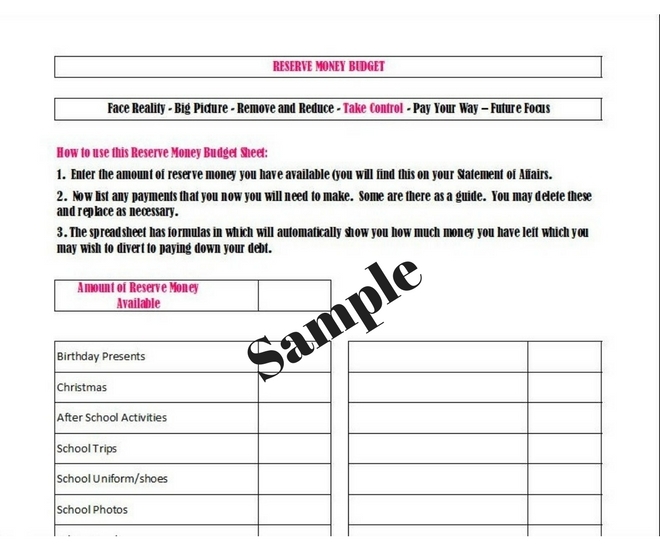 This Excel spreadsheet is designed ready for you to input your 'reserve' money. Allowing you to make sure you are saving for every eventuality and leaving you confident to start paying down your debt.